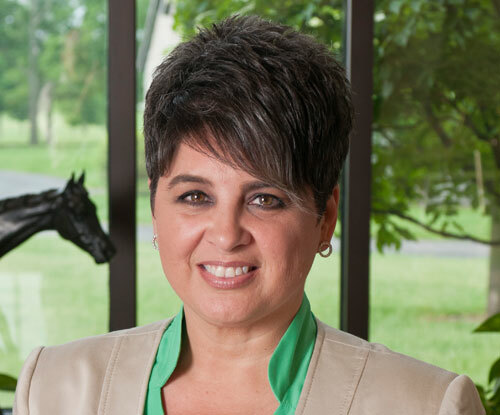 Dora Delgado started with the Breeders’ Cup in 1983 in what she believed was a temporary administrative assistant position but 34 years later, she holds the current position of Senior Vice President, Racing & Nominations. She is primarily responsible for the development and administration of the Breeders’ Cup’s racing programs around the world including the Win and You’re In Challenge Series and thoroughbred racing’s greatest event, the Breeders’ Cup World Championships. Delgado is also responsible for the promotion and expansion of the foal and stallion nomination programs worldwide to maximize participation and generate program sustaining revenue. In her role, Delgado manages the event Equine Security Team, the Breeders’ Cup Veterinary Panel, the Field Selection Panel and works with the host track and its staff to create the safest and most secure environment possible for the equine participants. She is also responsible for all horse recruitment, equine event logistics and operational setup for the annual World Championships including communications with all federal, state and international regulatory authorities and works with the host state racing commission to ensure that any necessary waivers, rules and regulations are in place. Supervising a Racing & Nominations staff of three full time employees, Delgado and her team ensure that all participants and their equine athletes receive a fair, safe and secure environment to race against the world’s best equine athletes. Delgado also works with a number of Breeders’ Cup Board committees, primarily the Racing & Nominations Committee, the Finance Committee, the Enhanced Experience Committee and the Appeals Committee. She is a member of the American Horse Council’s Health & Regulatory Committee, a member of the Jockey’s Guild Research & Development Committee and a member of the Racing Officials Accreditation Program Board.